The Tote Placepot is the UK and Ireland’s favourite horse racing pool bet, offering punters the chance to win large payouts from small stakes, without even having to pick a winner. Betting on the Placepot is available at every horse racing meeting and through all leading online bookmakers. To win by betting on the Placepot, bettors just have to select a placed horse in the races 1-6 on a selected race card, their stake going into a pool, and that pool then being divided between the winners. The average Placepot dividend is £407 to a £1 stake and the record Placepot bet dividend is £91,774.50 to a £1 stake, achieved at the 2015 Cheltenham Festival. 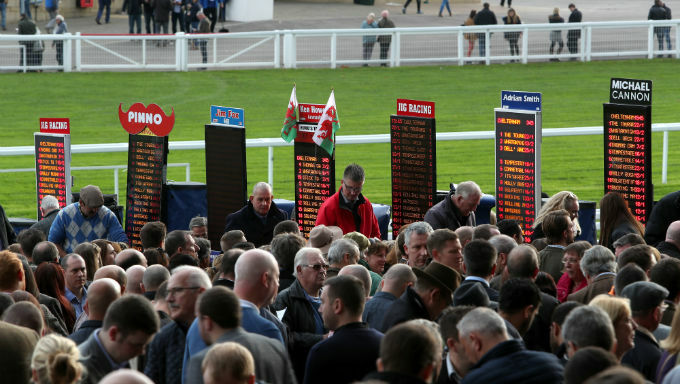 At the 2019 Cheltenham Festival, one punter landed £182,568 off a £2 Placepot. At a massive £91,283.10 to a £1 stake, it fell just short of the biggest ever Placepot. If this sounds like your kind of bet, then read on as this page explains everything about how to bet on the Placepot. To place a bet on the Placepot pool, punters must first select one horse in each of the first six races at their chosen British or Irish horse racing meeting. Any number of extra horses can also be selected for each race, but the more horses in the bet, the more the bet costs. e.g. if you have two horses in each race and your stake is 20p, your total bet would be: 2 x 2 x 2 x 2 x 2 x 2 x 0.2 = £12.80 (64 bets x 20p). Straight Lines - Pick one horse in each of the first six races. Stake a minimum of £1 to play: 1 x 1 x 1 x 1 x 1 x 1 - One line with a £10 unit stake = £10 total spend. 4 Bankers - Pick one horse in four races and two in two: 2 x 1 x 1 x 1 x 2 x 1 - Four lines with a £2.50 unit stake = £10 total spend. The Placepot is a pool bet, controlled by Totesport in the UK or Tote Ireland in Ireland. You can make your Placepot bet on-course at the Tote betting window, via the Tote online, or at any of the top online bookmakers and betting exchanges - like BetVictor, Ladbrokes, William Hill, Coral, Betway and 888Sport. What Places Are In The Placepot? If any horse you select for your Placepot bet is a non-runner, your stake will be placed on the SP favourite - the horse that starts the race as the favourite. If there are joint or co-favourites, then your money will go on to the favourite with the lowest saddlecloth number. Favourites are the Placepot dividend’s enemy; the smallest payouts come when the favourite places in every leg of the bet, so it pays to avoid the favourite when betting on the Placepot. A popular Placepot betting strategy is seen above: picking bankers. A Placepot selection is considered a banker bet if it is the only horse you choose in the race. It means you have put all your faith in that one horse. Picking your Placepot bankers is a key opening step to building your betting strategy. Look for a consistent horse, who might not always win, but always runs well and finishes in the placings the majority of the time. Once you have your banker, or bankers, aim to pick at least two horses in each of the other races. And by picking a banker or bankers, you can also consider putting more than two horses in some of the trickier Placepot races. Quadpot The Quadpot is the same as the Placepot, but includes four races instead of six. Pick at least one horse in each race, and if they all place, you get a return. Jackpot The Jackpot bet is available on one meeting every day, except Saturday. Pick a horse in the first six races, and if they all win, you win your share of the pool. It’s extremely hard to win, so rollovers are common and payouts massive. Scoop 6 The Scoop 6 replaces the Jackpot on Saturday’s. The aim is to pick the winner of six selected races, usually all shown live on terrestrial television. The pools can often grow well above £1million, with three separate funds paying out: the Win, Bonus, and Place funds.